Anyone who thinks that the newcomers that have flooded into New Orleans over the past few years have completely taken over only need to visit the Bywater neighborhood to view things differently. 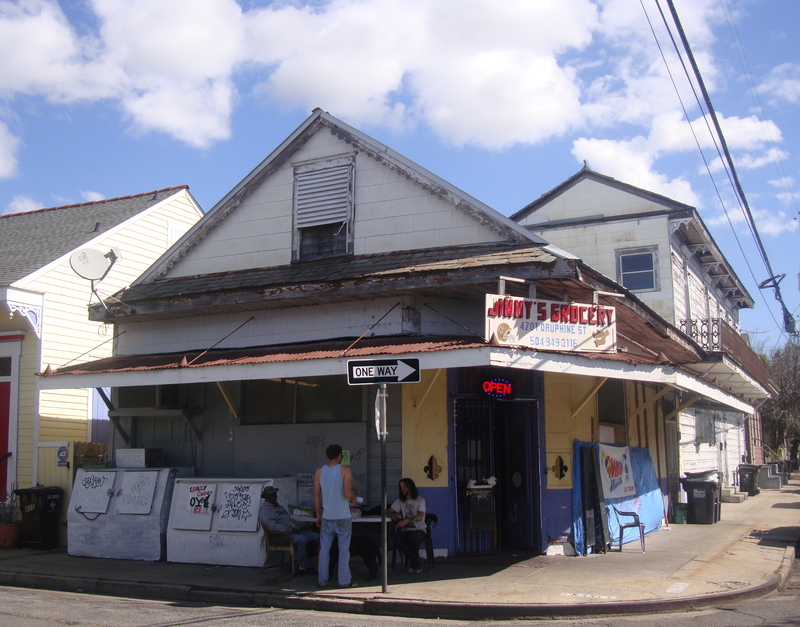 Friday February 7th 2015, Jimmy’s Grocery at the corner of Dauphine and France Streets was robbed by a knife-wielding man who threatened the life of the clerk over the contents of the cash register. In a sage move, the cashier surrendered 300 plus dollars from the till and the brigand fled with the moneys. My next door neighbors drive the two blocks it takes to traverse the distance between our homes and Bud Rip’s Old 9th Ward Bar after a friend was pistol-whipped and mugged leaving the historic tavern a month ago. And it’s open season on bicyclists in The Bywater as numerous riders have been assaulted and relieved of their rides in addition to their wallets, keys and whatever else they may have on their persons. Last Fall, a foursome were out for an evening stroll when a pistol-wielding mugger attacked them and demanded their belongings. One of the group attempted to reason with the gentleman and was pistol whipped for his efforts. While muggings and property crime are abundant, murder must be figured into the equation as well. In mid-January of this year a man was found face-down on Louisa Street with a bullet in his head. He was dead at the scene. With New Orleans’ police force at historic lows and new money surging into historically economically challenged areas, I don’t reckon that crime in The Bywater will let up anytime soon. Within 10 blocks of my home there are dozens of quick marts, bars, cafes, diners and coffee shops; each is a magnet for folks who have wallets, purses and automobiles…and targets on their backs in the view of neighborhood toughs and no-accounts. When a friend visited in December he got all dressed up and was about to leave on a photo safari through the area when I stopped him at the door. He was wearing a nice blazer, shined up shoes and an Oxford dress shirt. This entry was posted in New Orleans and tagged crime in the bywater, jimmy's in the bywater, new orleans crime. Bookmark the permalink.